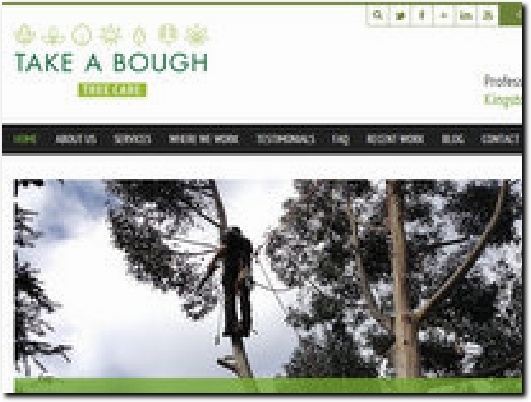 Take a Bough's professional Tree Surgeons in the Wimbledon area, offer a comprehensive range of tree surgery services. Our fully trained, certified and insured Tree Surgeons have been taking care of South West London's trees and shrubs since 2003 and have a well-deserved reputation of providing a professional and friendly service at a great price. Take a Bough's Tree Surgeons regularly provide a wide range of services from simple pruning and shaping through to complete tree felling all done with the care and attention to safety required when carrying out tree surgery in London's busy streets. We provide our services in Wandsworth, Wimbledon, Merton and Kingston and London's surrounding areas, and would be happy to discuss any requirements that you may have. Our Services include: Tree Removal, Tree Pollarding, Crown Reduction, Crown Thinning and Cleaning, Crown Lifting, Stump Removal, Hedge Trimming, Tree and Shrub Maintenance and Garden Clearance. To arrange a visit by one of our professional London-based Tree Surgery team for a no-obligation quote please visit our contact us page. Established in 2003 and providing a wide range of tree surgery services in Wimbledon and south west London. All staff are professionally trained and work is carried out to British Standard 3998. Links can be found to Testimonials and FAQs, while Contact has phone nos., e-mail and postal addresses and an enquiry form.